We ask that all new aikido students either observe one our 7 PM classes or take the introductory workshop prior to beginning their training. This gives new students a chance to see how a typical class goes and to ask any questions they might have. 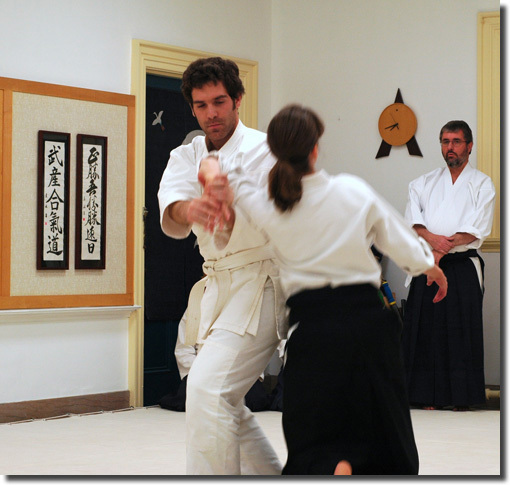 Where can I find more information on Aikido? Visit our Primer and Glossary page, and check out our links. Troy taking his first rank test.